We like to keep things short and sweet here. Yes, they do help. 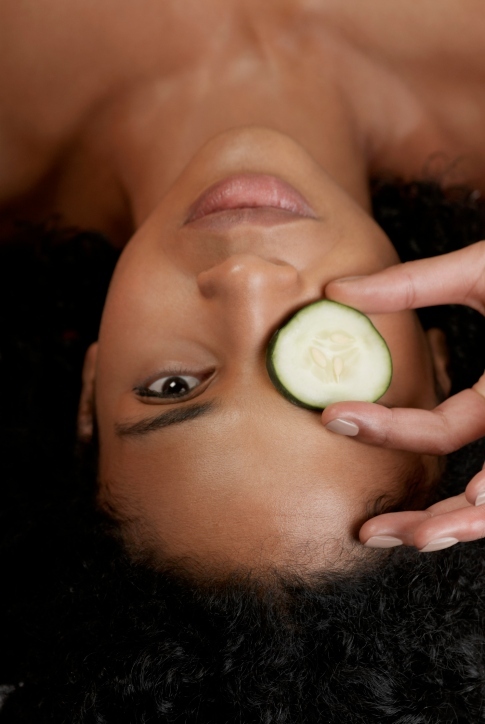 According to Black skincare expert Jill Riley, cucumbers can help de-puff your eyes, but only “when they’re cold”. Cucumbers actually have a lot of antioxidants, including vitamin C. “Antioxidants works against the breakdown of the skin”, says Riley. So, essentially cucumbers have a soothing effect that help to reduce swelling while also aiding in restoring ample pigment and color. There, you have it. Cucumbers do help, but they must be cold.